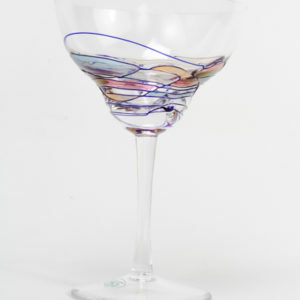 These glasses feature a cobalt blue line swirl pattern of glass. 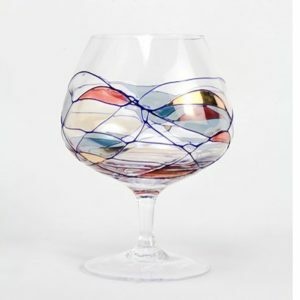 The stained glass appearance is all hand -painted with red, blue, yellow, and 24K gold accents. 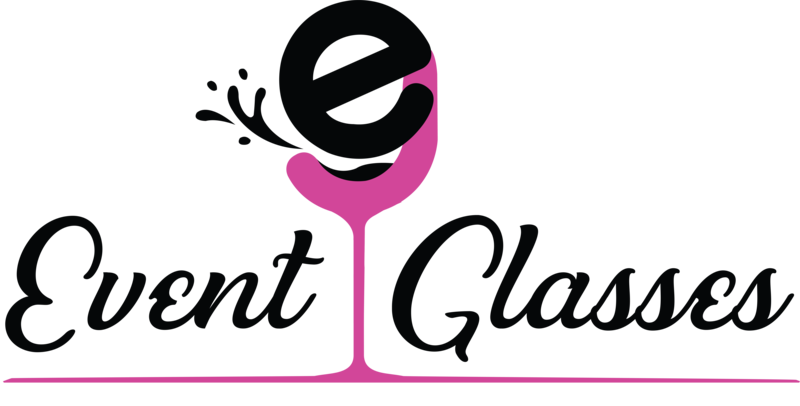 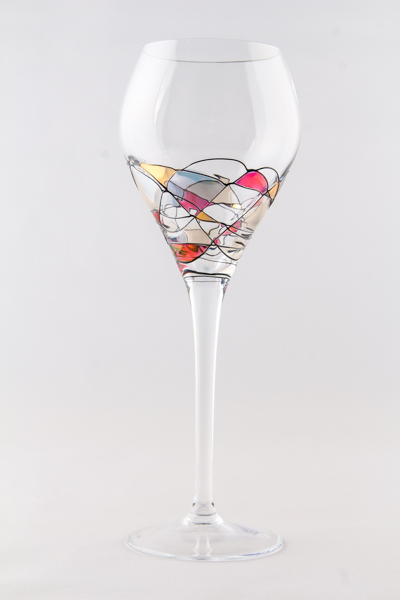 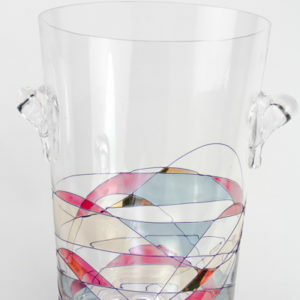 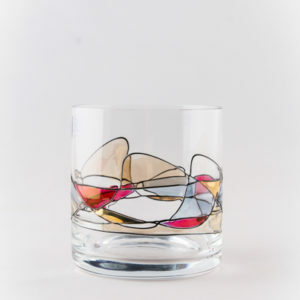 Because of the hand decorated process, no 2 glasses have exactly the same pattern.